Configurations of gambling change and harm are described in a recent article in the journal Addiction Research & Theory. 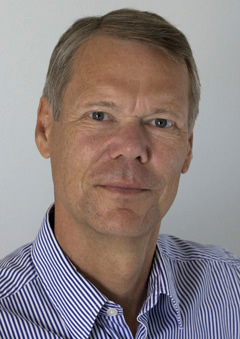 The research reported was carried out at the Department of Public Health Sciences (formerly SoRAD), Stockholm University, and supported by the Public Health Agency. The first two authors conducted the qualitative interviews and analyzed the material, while I took part in planning the research and writing the article. Samuelsson, Eva, Kristina Sundqvist & Per Binde (2018). Configurations of gambling change and harm: Qualitative findings from the Swedish longitudinal gambling study (Swelogs). 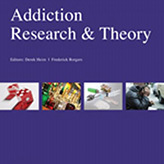 Addiction Research & Theory, Advance online publication, DOI 10.1080/16066359.2018.1448390. BACKGROUND: Gambling participation and problems change over time and are influenced by a variety of individual and contextual factors. However, gambling research has only to a small extent studied gamblers’ own perceptions of transitions in and out of problem gambling. METHOD: Qualitative telephone interviews were made with 40 gamblers who had repeatedly participated in the Swelogs Swedish Longitudinal Gambling Study. The framework approach was used for analyses, resulting in a multiple-linkage typology. RESULTS: Our analyses revealed four configurations of gambling: (a) stable low frequency with no or minor harm, (b) decreasing high frequency with occasional harm, (c) fluctuating with moderate harm, and (d) increasing high frequency with substantial harm. Natural recovery and return to previous levels of gambling intensity were common. Change occurred either gradually, as a result of adjustment to altered personal circumstances, or drastically as a consequence of determined decisions to change. Personal and contextual factors such as psychological well-being, supportive relationships, and meaningful leisure activities played a part in overcoming harmful gambling and keeping gambling on a non-problematic level. Gambling advertising was commonly perceived as aggressive and triggering. CONCLUSIONS: The experience of harm is highly subjective, which should be taken into account when developing preventive measures. Considering the fluid character of gambling problems, help and support should be easily accessible and diversified. To repeatedly be interviewed about gambling and its consequences can contribute to increased reflection on, and awareness of, one’s own behaviours and the societal impacts of gambling.